When you give your child an instruction, you just want to hear a “yes mom.” Not a “Why?” nor a “Do I have to?” or even a silence. You don’t want to repeat yourself over and over. 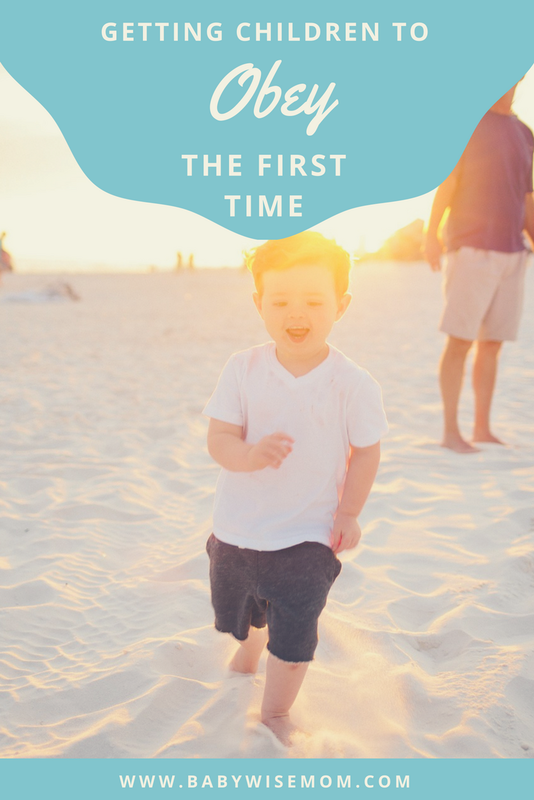 You want your child to obey the first time. This post walks you through how to get there. Back on track. We are at the brink of insanity. This can happen for a variety of reasons, but one of the most prevalent is because the children simply ignore you. You have to tell them over and over to do something. They “forgot” or “didn’t hear you”…you know you are at the brink and know if you have to repeat yourself one more time, you will slip right over into pure insanity. We have all been there (unless your child still doesn’t move on his own. Don’t worry, you will join us soon enough). Even children who are generally obedient “forget” and have their ears mysteriously stop working from time to time. Children are humans, and children make mistakes. Parents are also humans. Parents do a lot to contribute to children deciding they don’t really have to listen right away when you speak. If we parents were perfect, our children would be better. Alas, we are all humans navigating life together, so there are times we all need to shape up. Now that we have established that every parent knows this feeling, let’s move on to what to do about it. I really am serious when I say parents do a lot to contribute. In fact, we can probably just all agree to say 98% of the time, persistent and constant lack of obedience is actually our own faults. Really. Your children will test the waters from time to time. Children make great scientists. They will see if the line is still solidly set before them. Your reaction to that testing will have great impact on their future behavior. My first tip is don’t be lazy. Look, no one wants to hear that something is their fault, but I won’t do you any favors by doing anything other than telling it like it is. You have to be consistent in your expectations and consistent in your consequences. As soon as you are inconsistent, your children will become very consistent at disobeying you and ignoring you. I think parent inconsistency causes hearing loss. I don’t want you beating yourself up. I get lazy at times, too. Perhaps complacent is a better word. We get comfortable. Things are going well and we let things slide here and there. Before we know it, our home is one giant park full of slides for the children to play on. You can fix the laziness quickly. We can also be so busy that we think we don’t have time to enforce rules. Do yourself a favor and never let life take over so much that you think you can’t train your children. Take the time for it. You will save yourself time in the long run. Just look at the situation and figure out what you are doing to enable it and what you need to do to disable it. Wise in Own Eyes comes about usually because the child has too many freedoms. The child has more freedoms than are age appropriate, and the child starts to feel big and important and suddenly your importance and authority are of lesser value. This usually comes around because parents are not putting in the effort necessary to prevent it. It can also happen because we just aren’t sure what is the right amount of freedoms, so we give more than are appropriate. 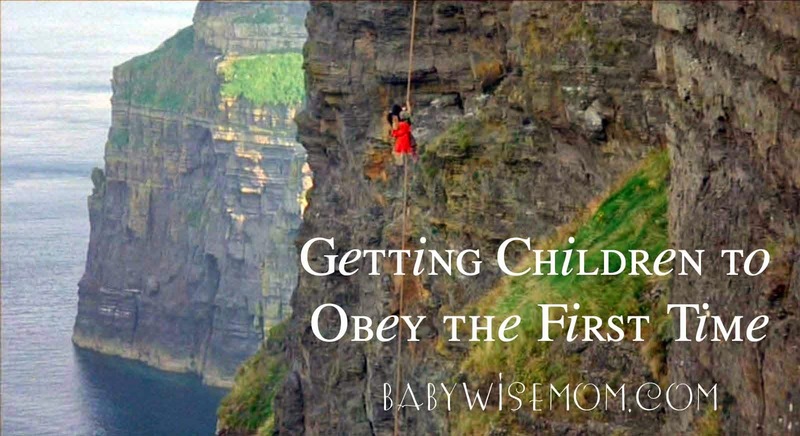 Read more on freedoms in Too Many Freedoms, Constantly Needing to Correct the Child, and The Choice Addiction (for Toddlers), Babywise II: Freedoms. Good stuff there. There are times the child is feeling pretty wise because of simply getting older. I see this happen a lot with Kindergartners (I even made up a name for it–Kindertude. Any time a children gets more responsibility in life and more time away from home, the horizons are expanded and they start to feel a little more smart, many times even smarter than mom and dad. It can help to require a “Yes Mom” response. This helps children be respectful toward your authority. If you want obedience, you need rules. Rules need to be clear. Rules need to be consistent from day to day. Rules need to be explained. You need to Teach What Obedience Looks Like. Training in Times of Non-Conflict helps you be able to explain rules while everyone is calm and happy. Utilize the Ask and Tell strategy. Along with your rules, have clear and consistent consequences. Make sure right is right and wrong is wrong no matter how tired, busy, distracted, or fed up you are. Make sure you don’t let the child slide out from under the consequence. Teaching consequences has lifelong benefits, not to mention benefits in the family now (see Benefits of Teaching Consequences). When you find you are at that brink of insanity, you know it is time to make some changes. Start with outlining the rules, explaining the consequences, and then go very firm for about a week. This should be long enough to get kids back on track of listening to you. Don’t give second chances and warnings. Your warning is your explanation of the rules and consequences. Children “forget” and “don’t hear” because they don’t need to remember or listen. Give them a reason to pay attention. Just because you are “laying down the law” doesn’t mean you need to be mean. People respond to love better than anger. Stay loving and encouraging through the whole thing. Remember, you are helping your child improve. You don’t need to yell, lecture, belittle, or throw your own tantrum. Once things are back on track, you can offer grace and mercy when your child makes a mistake. Children are children after all. They will make mistakes. They will even choose to disobey you sometimes (yes, really!). You just want to be sure that you aren’t allowing your child to start creating slides again. You will find that right balance of allowing for mistakes and keeping consequences consistent. A good rule of thumb I find is occasional mistakes are normal and fine. When they become habitual, it has become problematic. Different children will need you to respond differently. You will figure out what reaction is best for your child.